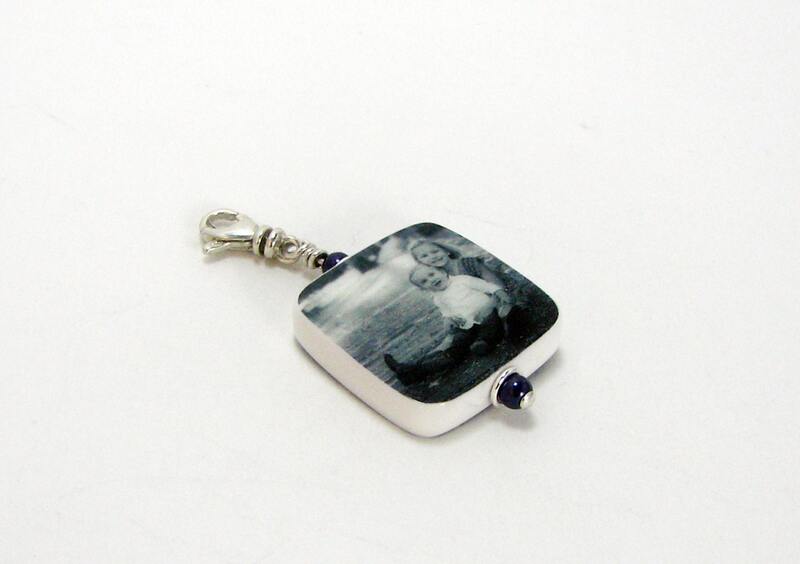 I love the ease and versatility of this sterling swivel lobster claw clasp. 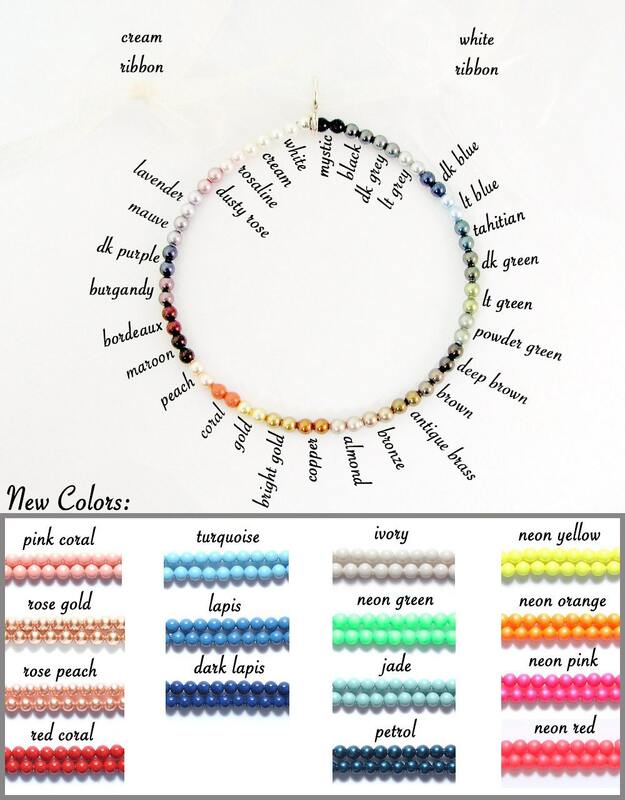 It is a Fancy Bail upgrade, and you can easily add this to any bracelet or necklace chain. 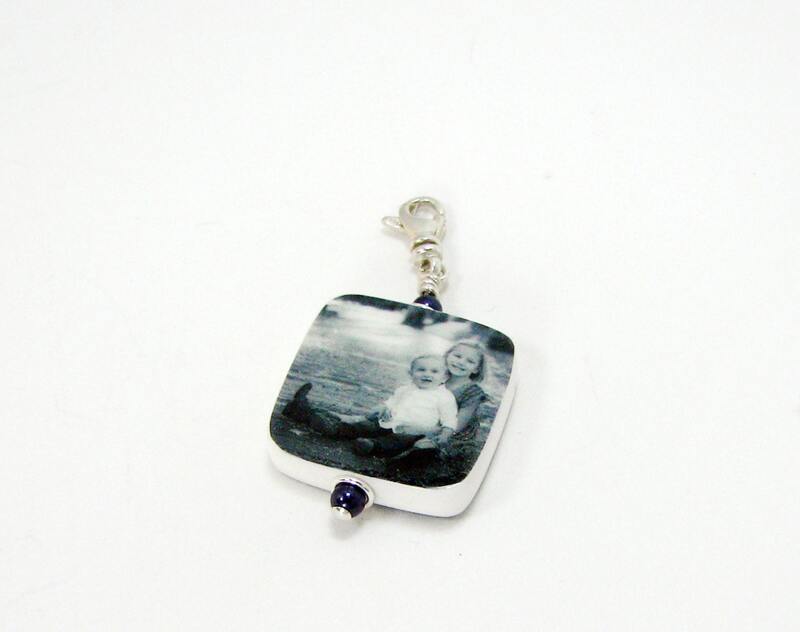 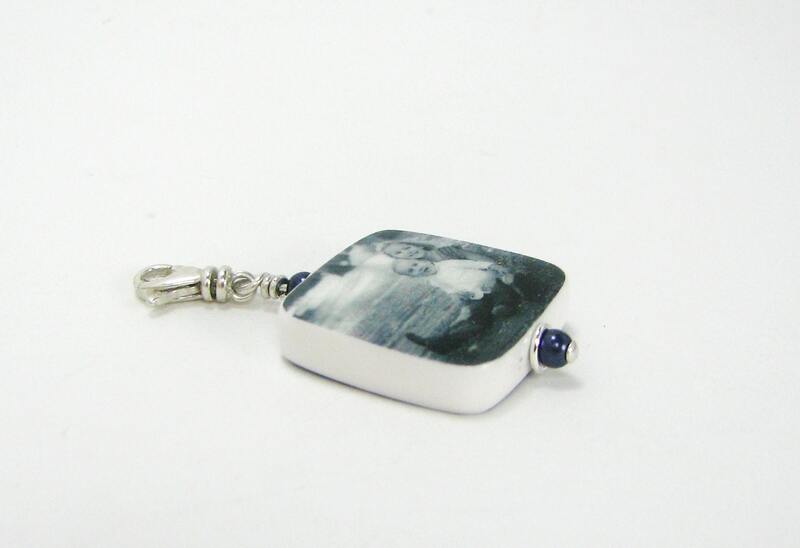 This is a small photo charm that measures up to .75" X .75" and it comes with rounded corners. 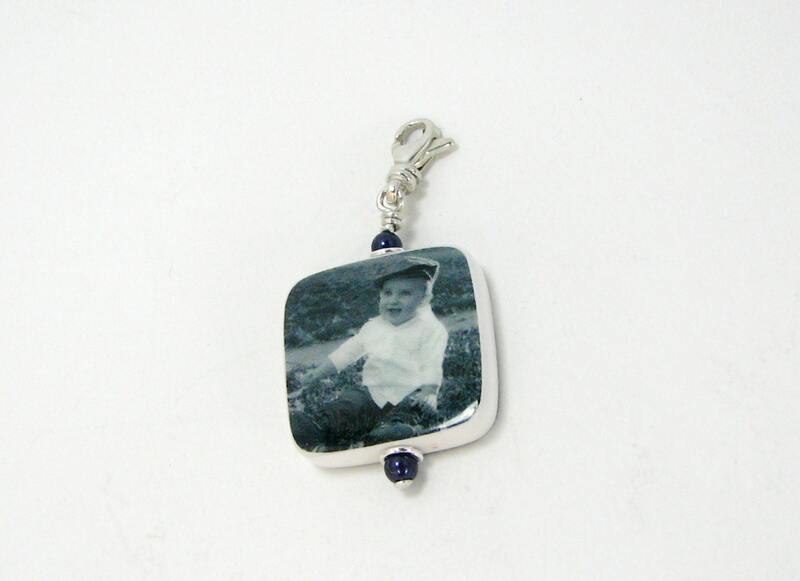 You can request Swarovski crystal pearls to best match your images in place of the purple ones shown if you like.